LAS VEGAS -- What happens to all those internet-connected refrigerators, robots and other devices when the power goes out? Thousands of people attending the world's biggest consumer technology show got a chance to test the battery life of the latest gadgets Wednesday when some showrooms and hallways went dark inside the vast Las Vegas Convention Center. Power went out for about two hours at the annual CES tech show in Las Vegas. 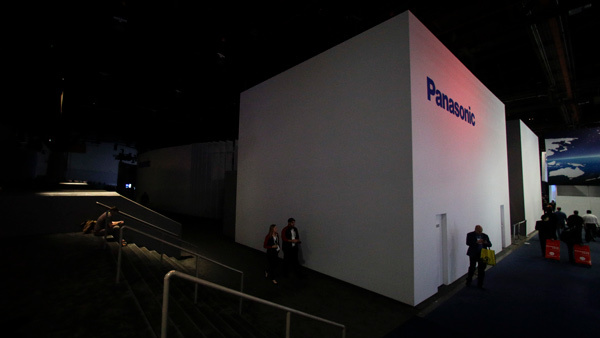 Sony, Samsung, Intel, Qualcomm and LG are among the companies with bigger booths in the convention center's Central Hall, the area that was most affected and evacuated during the blackout. Some meeting rooms in South Hall also lost power. Dozens of reporters queued quietly for lunch boxes in a darkened press room in South Hall. The room was dimly lit thanks to emergency overhead lights and the glow of laptops running on battery power. Rick Rohmer, a product engineer with electrical-systems specialist Legrand, said the power outage affected only part of a booth for Qi, a consortium of companies that make wireless chargers. Most of its display was lit as hundreds of attendees passed by in the dark on their way to a brightly lit giant screen TV over South Hall. "We lucked out," he said. "If our extension cord went over there we'd be out of power." Officials blamed condensation from heavy rainfall, causing a transformer to go out. It was raining in Las Vegas on Monday and Tuesday - rare for a desert city. Several brands used the opportunity to pitch their wares. One vendor invited people to visit its booth to check out a battery pack, for instance. Intel had a tongue-in-cheek announcement for a product called "Blackout." On Twitter, pictures of phone charging stations circulated, with some users gloating as they pointed out and giggled at the misfortune of folks who had their phones locked inside, not charging. So close, yet so far away. It's funny to see a phone held captive in what's essentially an electricity vending machine as its owner paces back and forth. Until, of course, it happens to you.